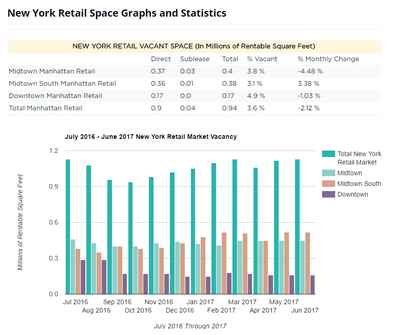 Asking retail rents are continuing to climb in some major Manhattan retail corridors due to high demand and a limited availability of space. 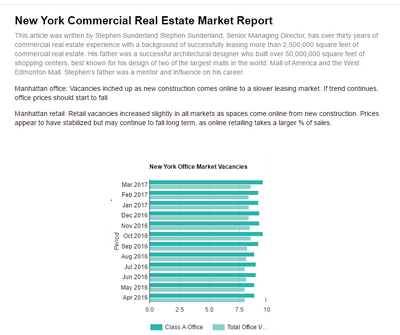 Overall in Manhattan, however, asking retail rents were down 4 percent from the spring and 2 percent year. 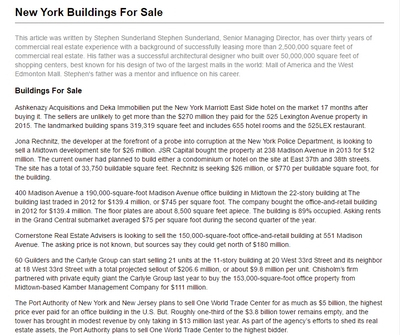 One of the areas that stands out is lower Fifth Avenue, between 42nd and 49th streets. 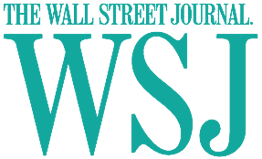 In fall 2012, average asking rents ticked in at $1,021, up 13 percent from the spring 2012 figure of $900 and 51 percent increase from the same period last year when the average came in at $675. 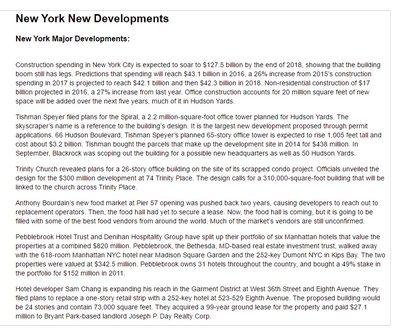 Herald Square experienced the greatest growth in average asking rent quarter-over-quarter. 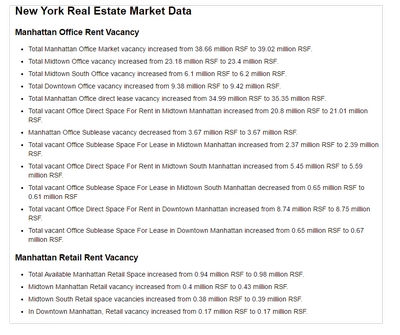 Herald Square saw rents increase 30 percent to $657 per square foot. 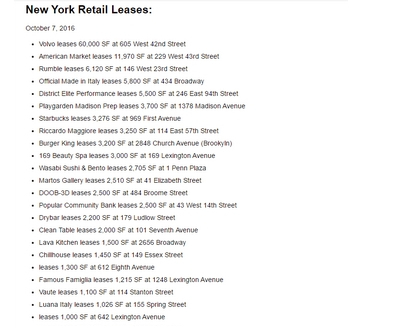 Other New York City retail hubs also fared well. In fact, six out of the 11 hubs saw rent increases. 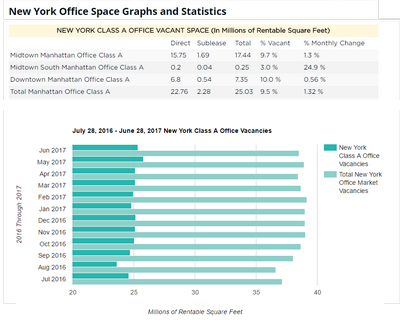 Downtown Manhattan rents grew 28 percent in the same period, to $213 per square foot, and Lower Fifth Avenue (between 42nd and 49th streets) and Times Square both saw rents increase 23 percent, to $1,118 and $2,221 respectively. 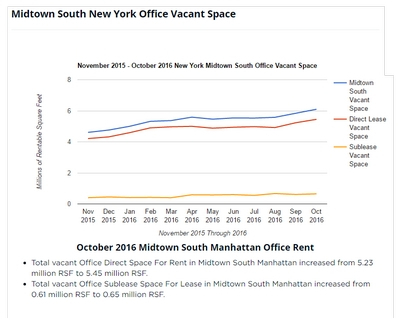 Office Sublease availability in October rose to 9.8 million square feet despite a number of Downtown firms were forced to relocate to Midtown as a result of Hurricane Sandy, “. Tenants with multiple office locations are devising ways to share desks at other offices. 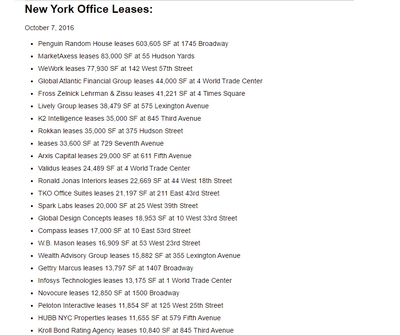 Also, firms are letting some employees work from home. 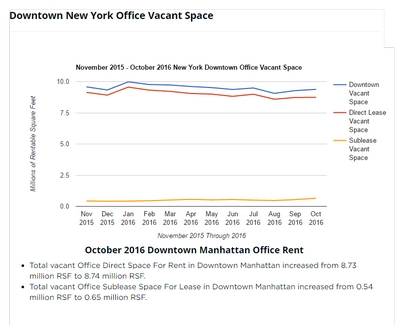 The amount of space available in the Downtown market rose to its highest level in nearly two years, as more than 2.9 million square feet came on the leasing market. 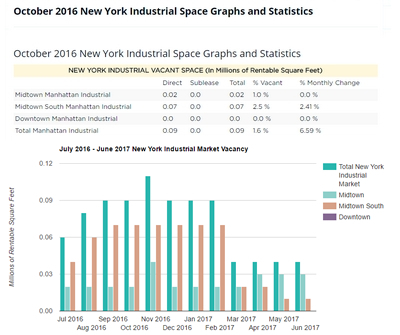 As expected, the availability rate for the Downtown market rose in October to 13.7 percent, up from 10.6 percent in September with the addition of more than 2.5 million square feet of space at Brookfield Office Properties’ World Financial Center and other properties. 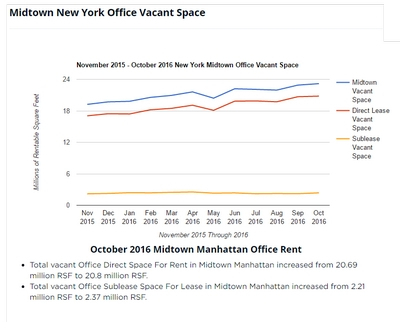 Despite the Financial District’s current state of water pumping and closed buildings, many do not think that Hurricane Sandy damage will cause tenants to pack their boxes en masse. Not only that, commercial tenants interested in setting up shop in the neighborhood are not likely to be deterred from the area over flood concerns. They see it as a good place to do business. 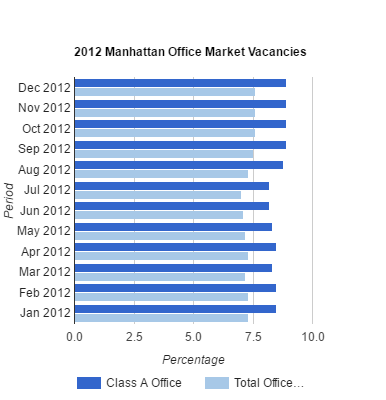 Similarly, Lower Manhattan residential properties remain in demand despite the storm’s impact.